With the increased rate of break-ins, installing a home security system is by no means an option but a necessity. It’s time that we stopped viewing these gadgets as ’a-wealthy-property-owners’ thing. While they were extremely expensive a few decades ago, they are now available at budget-friendly prices and with advanced features thanks to technology. Before making an order, there are several factors worth putting an eye on, for instance, the coverage. Where do you want to use it? If at home, how many floors or rooms do you want to be covered? You also need to consider the ease of installation. Also, understand whether there’re any monthly premiums to pay or not. Most importantly, learn more about the system either from experts, past users, or genuine reviews like this one. 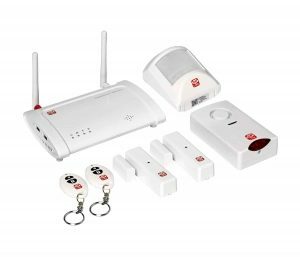 With this home security system from Home8, you can have your home fully secured in 15 minutes only. This is because it has no complicated wiring and features a convenient plug-and-play installation. This package comes with 1 OPU, 2 remote controls, 2 window/door sensors, 1 motion sensor, and 1 siren. It offers you will real-time alerts via the Smartphone downloadable App. The App keeps you connected and notified from anywhere in the world. It can also be used to arm or disarm the system. From the convenience of your Smartphone, you can get both video alerts and pop-up notifications whenever something makes a move in your house. This Thustar alarm has a built-in GSM Module. When triggered, the sensor sends a message or makes a call, to the alert telephone you had previously selected. It has a rechargeable battery which can work for about 8 hours. This is especially beneficial, in cases where the power goes off. 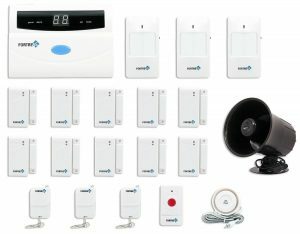 This home security system, even has 2 wired sirens that can be used based on the size of your house. Thustar also offers 99 defense zones, and 8 wired zones. There are a lot of features to like about this home security system. It’s a professional do-it-yourself safety device that you can use at home or work premises, for instance, a shop and help save monitoring fees. 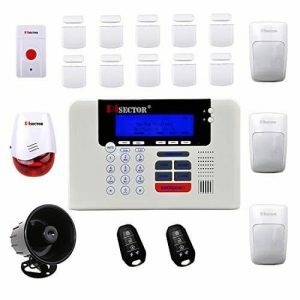 The package brings 10 door/window sensors, 3 intelligent motion sensors, 2 remote controllers, 1 panic button, 1 main console and 1 yard sign board. This is doubtlessly a perfect unit for a big home. The best thing about Pisector is that it’ll automatically dial up to 6 numbers in case of a distress. When Canary calls this an all-in-one device, know that it surely is. It’s all you need to keep your premises safe. Uniquely, not even the slightest installation is required. You just need to plug it, connect to the internet and go. This device uses a 1080p camera to record crisp, clear clips which are then sent to your Smartphone via Canary App. With this App, you can control or receive several alerts from several devices in different floors or premises. The App can again be used by several members of the family. With 120 decibels of noise, only a crazy intruder would wait to face the repercussions of making a forceful intrusion into your home. This is enough sirens to alert your neighbors and law enforcers of a possible law breakage in your house. Fortress Security Store is taking home security to an entirely new level. 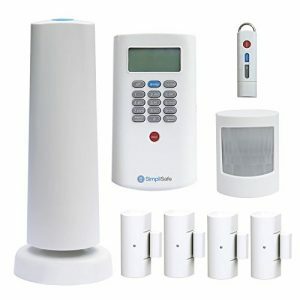 Their home security kit has several exciting features to have your home totally covered. This unit, for instance, will activate the siren and then dial your phone or send you a text in case of an intrusion. If you’re not responding, it’ll go ahead and contact the next number. It can memorize up to 6 numbers which can be contacted for alerts. This system uses dual network GSM sim card and landline to keep you informed even when one is cut. 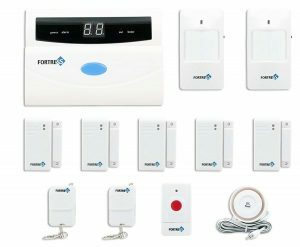 If you are looking for a complete home security system, then Fortress Security Store has just the thing for you! This purchase will get you a main unit which is fully programmable, including its sensors. In case there is a security breach, you will get the option of selecting up to 6 designated phone numbers. 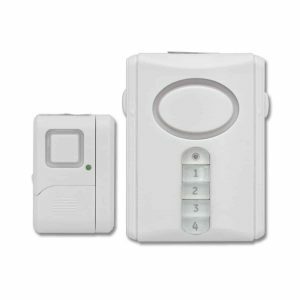 The alarm also has passive motion sensors, for additional security. How would you fancy an affordable and totally wireless security system with no monthly fees to make? 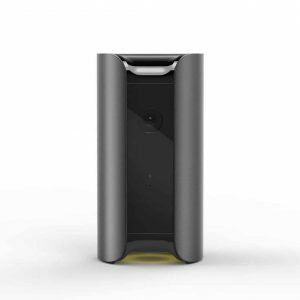 Enter Blink Home Security System. This unit uses 2 AA lithium batteries to detect even the slightest motion. If you’re wondering, these 2 batteries can take you up to 2 years before replacing. It then sends alerts via Wi-Fi to your Smartphone. Moreover, you also get a short clip of what transpired from the cloud where Blink stores up to 2 hours of video clips. This security system can be expanded to cover more area. 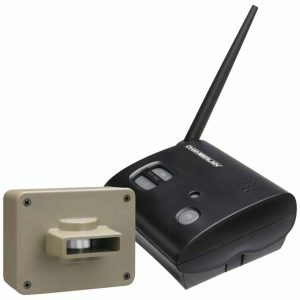 Chamberlain CWA2000 is an affordable and easy-to-use the alarm system. It consists of a receiver and a sensor. The sensor is battery operated and therefore requires no wiring. It’s also waterproof and is, therefore, perfect for use in hidden areas within the yard. This sensor can detect motion 30ft away. Again, this system CWA2000 can be expanded up to 4 sensors. The signals will be sent to the base receiver up to a mile away in different patterns and sounds. 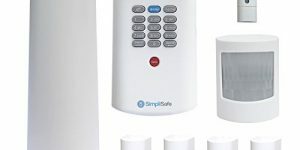 Simplisafe 2 is amongst the priciest on this list but isn’t by any means expensive than what you’ll be protecting in your house. 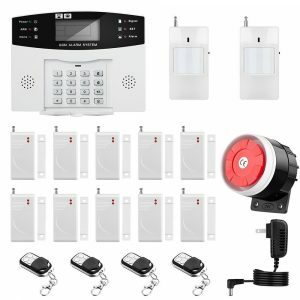 This is an 8-piece package consisting of 1 base station, 1 keychain remote used to arm/disarm the system up to 100ft away, 1 keypad used to arm/disarm the system with a 4-digit PIN, 4 entry sensors designed to fit well in most windows and doors and 1 motion sensor. Simplisafe2 system also sends you alerts through texts or email. The motion sensor detects movements 30 ft away, and the keypad will still send signals even after it has been smashed. Anyone or valuables under a roof are prone to attacks. There’re lots of unnoticeable persons roaming around in search for a home to make a surprise unwarranted visit. This isn’t meant to scare you. It’s an eye opener on the need to have your home covered.